The Rail Maritime and Transport union has called for cuts to end as a report revealed a derailment was caused by not enough staff and poor infrastructure. The derailment happened between Earl's Court and Gloucester Road on the Piccadilly line on 12 May 2010. The Rail Accident Investigation Report said the train derailed because the track was in such a poor state that it shifted and collapsed under the weight. Transport for London (TfL) said it would implement any recommendations. The engineering train, which had no passengers on board, consisted of two locos, two wagons and a track machine. The Rail Accident Investigation Branch (RAIB) said understaffing and low morale led to the track not being maintained as it should have been. Five steel brackets holding the track were found to not have been secured to the sleepers underneath because the screws had broken. Several sleepers were in "poor condition", track faults were not identified and workers had "insufficient time" to do the repairs, the investigation found. The RMT said the report revealed "a crumbling infrastructure" led to the potentially-lethal Tube derailment. RMT General Secretary Bob Crow said: "We have warned that the attack on staffing and maintenance at London Underground means that corners are cut, essential repairs are not carried out and the workforce is hacked to the bone." He said the report confirms everything the RMT has said and "nails yet again the lethal complacency of Boris Johnson and his senior managers". He said the report is a wake-up call to the Mayor and London Underground if they carry on with their reductions. "The cuts should stop now before we have a major tragedy on our hands," he said. 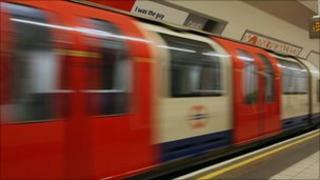 TfL said since the incident the company has taken over the maintenance firm Tube Lines, which was responsible for track maintenance at the time, and there has been an extensive programme of works to upgrade the track on the Piccadilly line. "The Piccadilly track management team has been restructured and improvements made to the track inspection methods and maintenance processes," a spokesman said. "We are fully confident that the right resources are now in place to continue to improve track performance."